Born in 1936, Florrie Maguire grew up in Barlby Road, North Kensington and moved to Hammersmith in 1972. She became the Centre’s Assistant Cook and a member of the Friday Lunch Club. Florrie was known for being cheeky and enjoying her cigarettes – and for her way with colourful language! Sheila Neighbour was born in 1927 and raised in Harrow. When she married, she moved to Nasmyth Street and lived there for 65 years. Sheila started flower arranging classes at the Centre in 1980 and later joined the Sewing and Folk Art groups and the Lunch Club. She was renowned as a smart dresser, wearing bright pinks and purples and pretty jewellery. 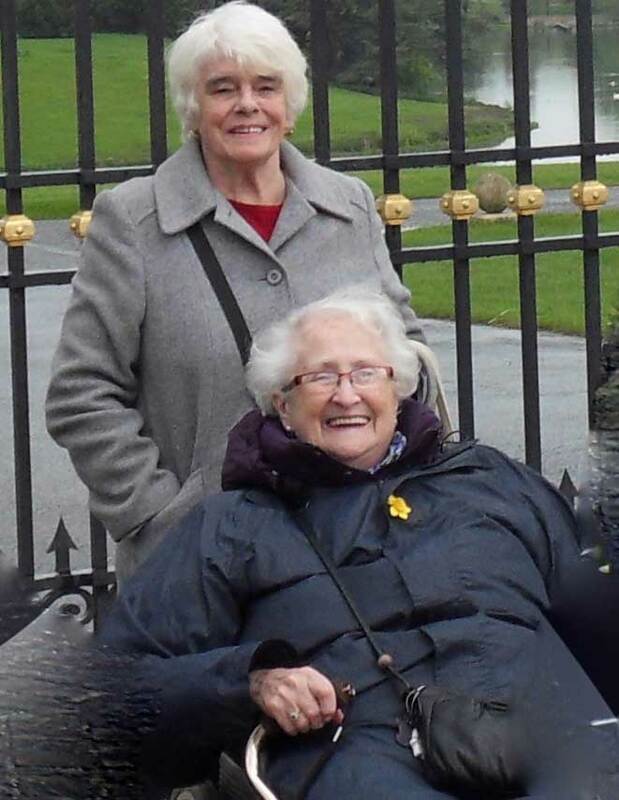 While Sheila and Florrie got huge pleasure from their involvement with the Centre, they also gave a huge amount back. The friends were always willing to volunteer at fêtes and other events and enjoyed the coach trips – in particular the fish and chips and ice cream! 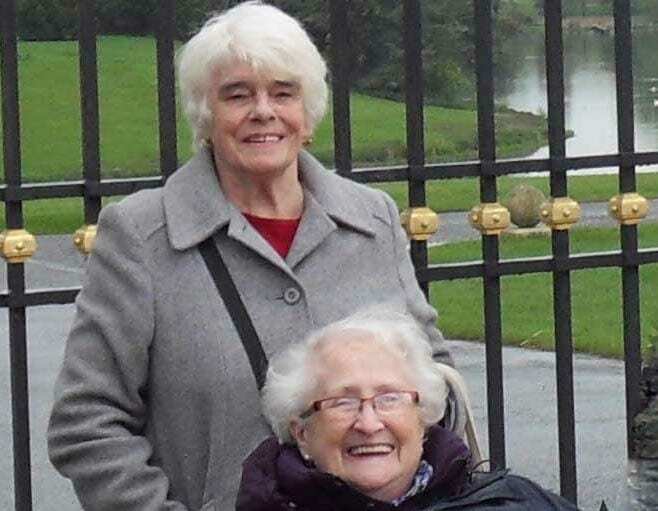 Florrie passed away on 9 March and Sheila on the 28th, by coincidence the day of Florrie’s funeral. They were friendly, loved a laugh and everyone at the Centre misses them enormously. They won’t be forgotten. Sponsored by Ian and Neil McCarroll.